I know they tell you all about the terrible two’s, but I have to tell you, so far three is no piece of cake. I have heard someone refer to three-year olds as ‘three-nagers’ and I totally think that’s accurate…so. much. attitude. 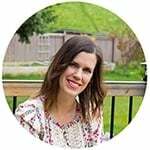 I’ve been struggling with parenting for the past several months, and it has had me questioning my whole way of doing things (which I call ‘going with your gut and not reading parenting books’. Ha ha.). But I had a breakthrough the other day…a major AHA moment! Getting Kai to help me with whatever it is I’m trying to get done totally stops the attitude. He wants to help and learn and it makes everything more enjoyable…for everyone. The other day he ‘helped’ me clean the house (he got his own duster). And last night he ‘helped’ me make salad for dinner (he put the veggies into each bowl and crumbled the feta cheese). BONUS: he ATE the salad he helped me make. OMG what is this magic I’ve stumbled upon?! Maybe if he’d helped me make these enchilada stuffed sweet potatoes, he would have eaten some. But alas, he was not interested in them after having a taste test, and that was OK…because it meant more for Ben and I! I have been on a mission so far in 2017: more meal prep dinner recipes. 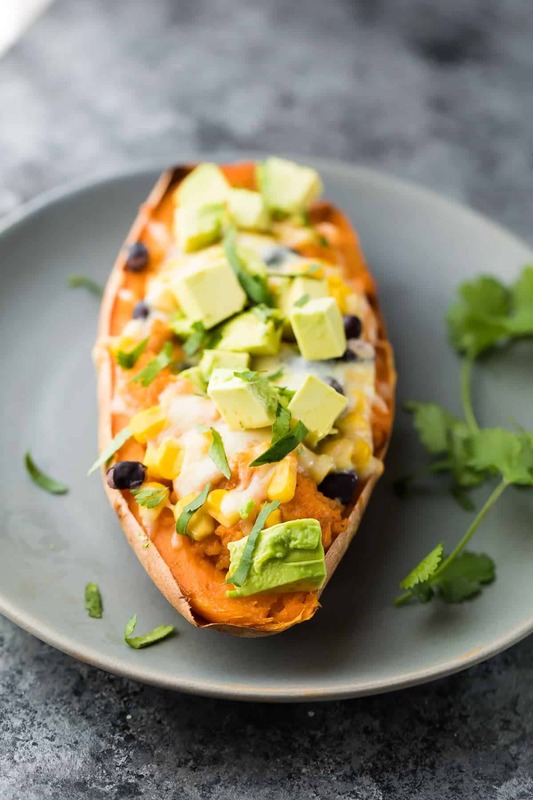 And here I have another one, and these enchilada stuffed sweet potatoes might just be my favorite, because a) they are freezer friendly and b) they can go directly from the freezer to the oven. I mean really. How convenient is that?! 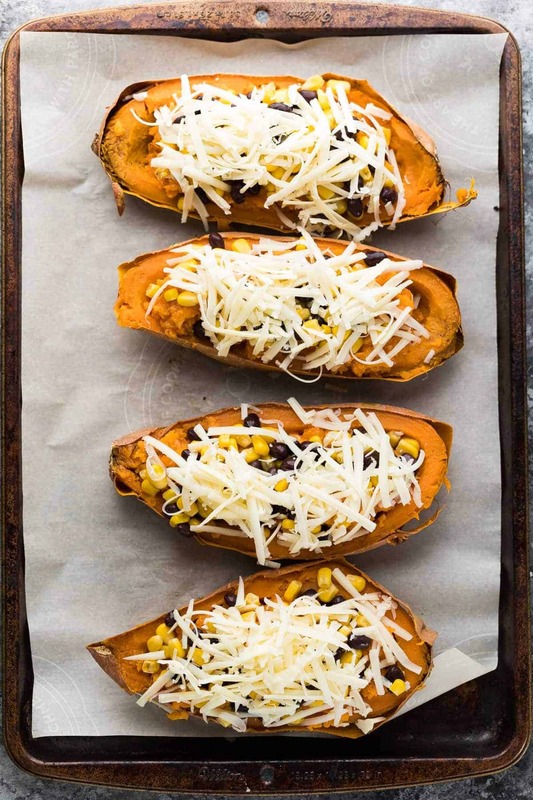 The method for these bad boys is so simple: twice baked sweet potatoes, with the sweet potato flesh mixed with some enchilada sauce, corn and black beans, and smothered with cheese. Here’s the ‘meal prep’ part of the recipe: you don’t do the second bake until right before you serve them. 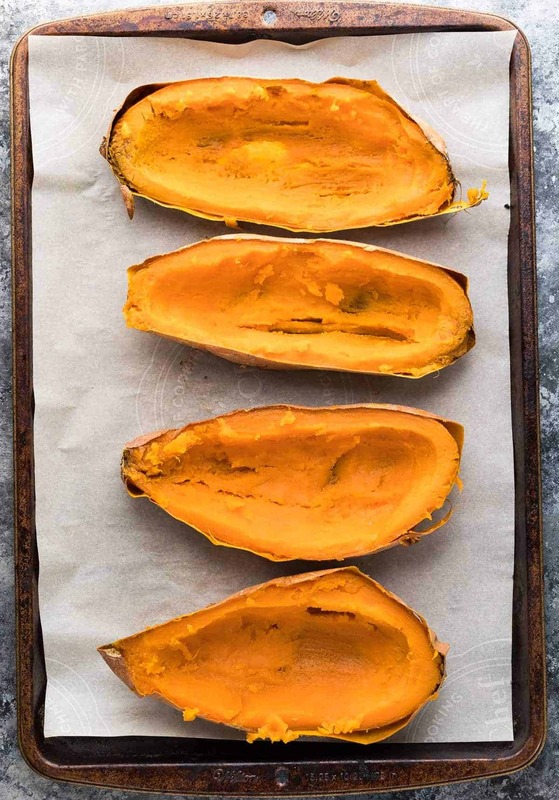 You can prep these enchilada stuffed sweet potatoes on the weekend and keep them in the fridge for around 4 days. OR you can wrap them and stash them in the freezer for longer…up to 3 months! When you bake them up, they will taste like you just baked them fresh…you can’t even tell they were ever frozen. We enjoyed them for dinner, (served with a salad), but they would also be great as a lunch! 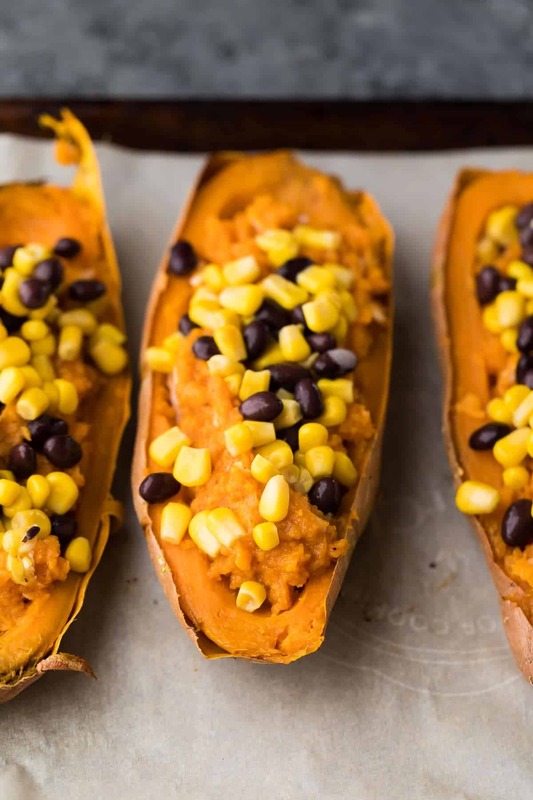 Make these enchilada stuffed sweet potatoes your own! , but I’ve also made my own using this recipe from Gimme Some Oven…it’s easy and really tasty! Really delicious!! At home we reheated them in the oven but at work we reheated them (already thawed) a few minutes in the microwave and that was really good too! So, are they baked the second time and then frozen or just stuffed and frozen before being baked the second time? Love your name, Slicey! 🙂 If you are going to freeze them, just bake the first time, then stuff, cool & freeze. I made these tonight for dinner, and they were great. My husband even admitted he didn’t miss meat. I doubled the recipe because I’m stocking up for the arrival of our first baby. I really appreciate the freezer to oven option. making these tonight ! What kind of cheese did you use ?? Anyone tried in the microwave? My family LOVED this meal! Making it for the second time today! Thanks for the fantastic recipe! Wow, these were truly amazing and delicious! I followed your recipe exactly and they were mind blowing for me! Who would of thought sweet potato and enchilada sauce would taste so good together! I actually tripled the recipe so I could freeze more (prepping for a baby to arrive in a month). I topped with avo and sour cream, yum! Thank you so much, I will be making these often! One thing that helped me when I made 50 of these 1/2 potato meals was that when I was preparing to freeze them, I did not add the cheese on top. I put the cheese in a separate bag, so it could just be topped with cheese just prior to baking. That just personally helped me since I was making so many meals of this recipe. Anyways, it took forever to make this meal with 25 sweet potatoes, but it was well worth it! One thing I noticed through making several portions of this recipe was that I had extra filling. So what I ended up doing was giving each family a baggie of extra filling that they could put into a tortilla for another meal. I used some of my extra filling and put it in tortillas for another meal and it was delicious! Thank you for this yummmy meal!!!!! How well do you think this would work with green enchilada sauce instead of red? Hi Katie, I’m really not sure. If you try it would you let me know how they taste? Hi! Have you tried warming them in in the microwave instead of oven? I would love yo freeze these and bring them to work for an easy make ahead lunch! these were amazing! thank you for sharing! 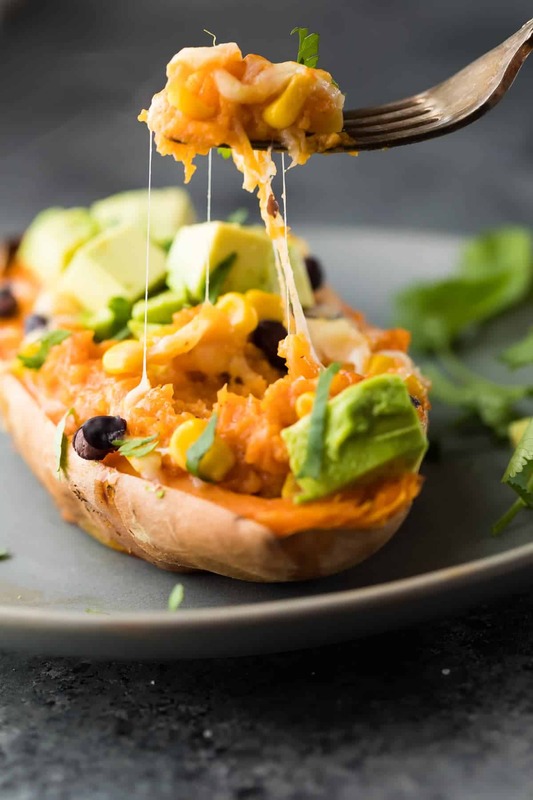 I guess I could use this Enchilada Stuffed Sweet Potatoes for my diet. Do you think it is suitable for diet? Thanks for sharing. I remember three being such a hard age (and the attitude only gets worse unfortunately)! That’s so great that you’ve found a way around that and getting him to help out — so cute! 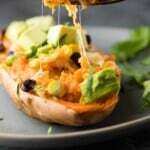 Sweet potato enchiladas are my favorite so I’m loving these Denise. I always have these ingredients and plan to make these for my lunches! Thanks so much Marcie! I need those moments of ‘oh my gosh we’re going to get through this’, LOL!